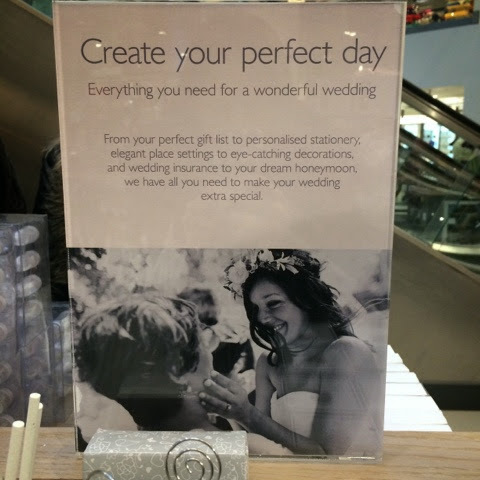 So I haven’t written this type of post before, I wanted to blog my trip to Kingston as I was so excited to visit the massive John Lewis there and wanted to share my day with you all. I took a few pictures but honestly, I was having such a great time I found myself forgetting to take pictures! 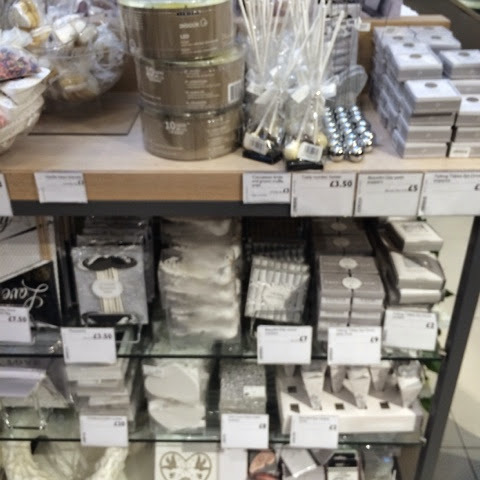 I visited the store at the weekend and it was quite busy, I can see why. It is situated right by the river and the town, we ended up driving right passed Hampton Court on the way there which I loved. 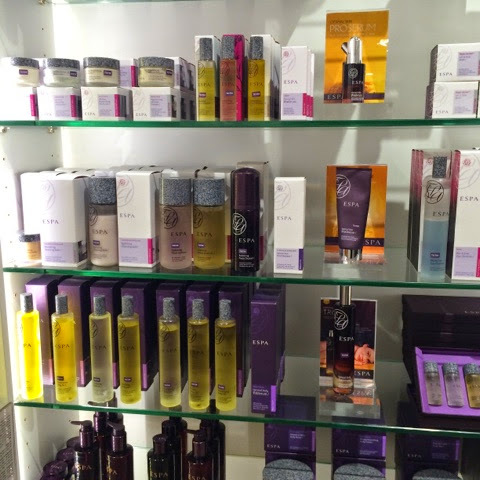 After having a quick look at the homeware section I headed off to meet the lovely Jess in the ESPA beauty room. It was so relaxing with the aroma and the dim lighting, I apologise I didn’t get a picture of the room, but these were the amazing products used. I had a facial and an arm/hand massage and I was so relaxed I wanted to fall asleep! The appointment lasted about 30mins, in which I first discussed my main concerns and I was given a choice of scent for the products. Jess then went on to tell me about the brand and showed me the different products. To be honest, they all smelt amazing so it was hard to choose! I felt so refreshed after she applied the toner to my face. ESPA offer a Skinvision analysis which involves a special light on your skin to show dry/problem areas. I thought this was great as I had never experienced anything like this before. I felt so clean after the facial. As you can see below they offer a great range of products and you can get suitable products depending on your skin type. The Proserum smelt amazing and felt so nourishing. After having my facial, it was time to have my make up done. My skin was fresh and ready to be made up. 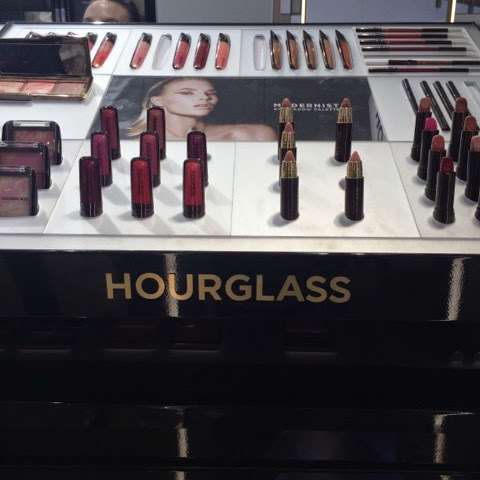 I visited the Hourglass stand, most of you know Hourglass because of their amazing blusher palettes. 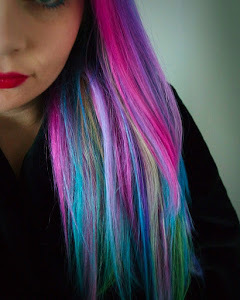 I was lucky enough to sit down with the beautiful Freya (her make-up was literally perfect!). All of their products look stunning and it was great as Freya showed me all of the products she wanted to use and explained about them before we went ahead. 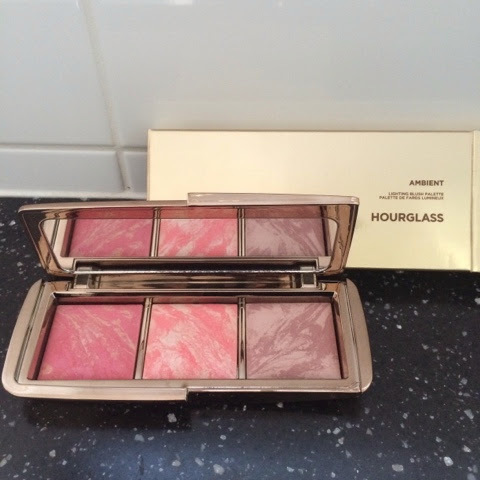 What is great about Hourglass is that the products are great to use on sensitive skin and their brushes are amazing (with an 8 year life expectancy!). The primer used felt so soft and it contains a crazy amount of oils which is so good for your skin. Using this on top of having a great facial left my skin feeling so perfect. 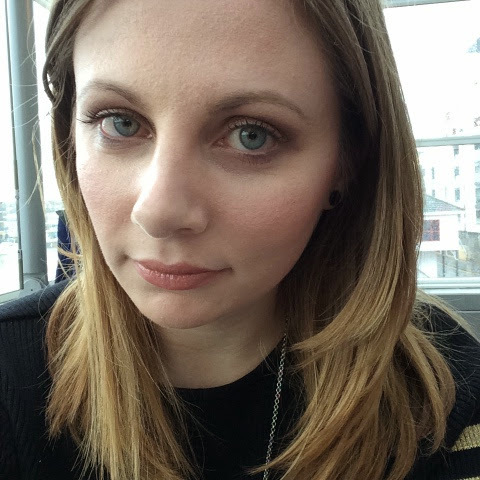 I was excited to have my make up done and try different products. 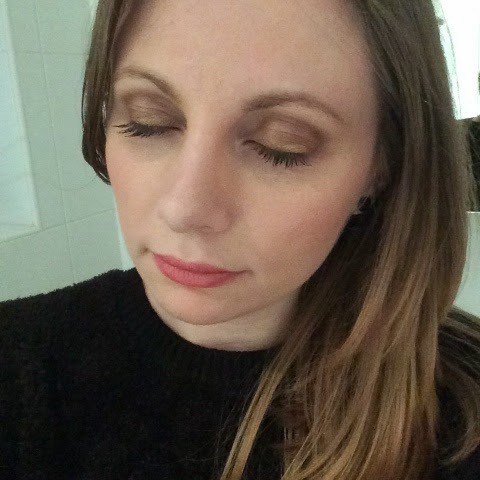 The foundation used was a tinted moisturiser but it had the coverage of a foundation. 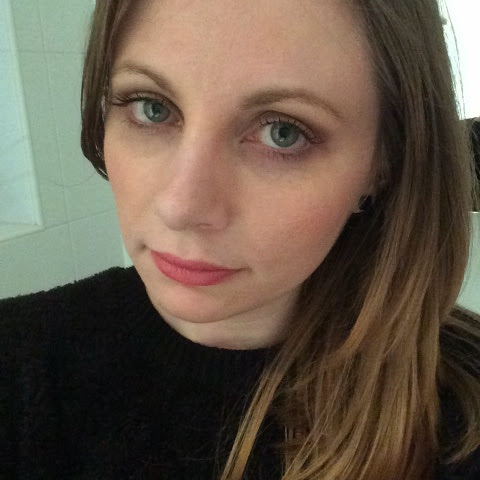 You can see below a picture I took straight after having my make up done. Freya asked what kind of look I was going for and I chose natural. After applying the base and the blusher it was time to do my eyes. I opted not to have eyeliner but to have mascara and subtle eyeshadow. The eyeshadow palette was amazing. The brown shades really brought out the blue in my eyes. I loved the blusher so much that my lovely other half bought it for me, thanks dear! The next two pictures I took in the evening to show how well the make up stayed put. The beauty department was massive, I really wanted to take some nice pictures but there were quite a few people around and I didn’t want to get in trouble taking pictures without peoples permission! There were stands from Chanel, Lancome, Murad, Benefit, Liz Earle, Molton Brown and many many more. By this time, I was starving, I am always hungry though haha. 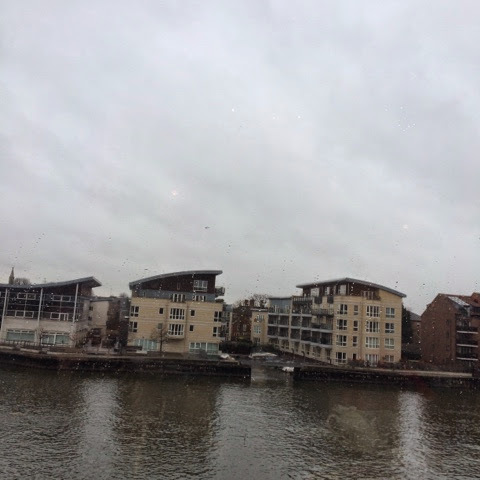 Nick and I went for lunch at The Place To Eat which looks over the river. 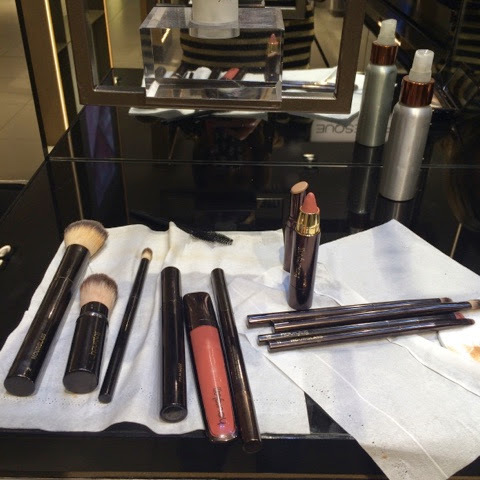 (I sent Nick off shopping whilst I had the facial, although he did watch me have my make up done and he picked out what lipgloss to use!). I decided to have fish and chips, but again, I was so excited to eat I forgot to take a picture, so after pouring the chips out of the lovely pot they were in and getting rid of the peas Nick reminded me, Sarah take a picture! Even though the weather was bad, the view was lovely over the river. I can imagine in the summer it would be great to sit and have lunch whilst watching boats go by and having a nice relaxing meal. 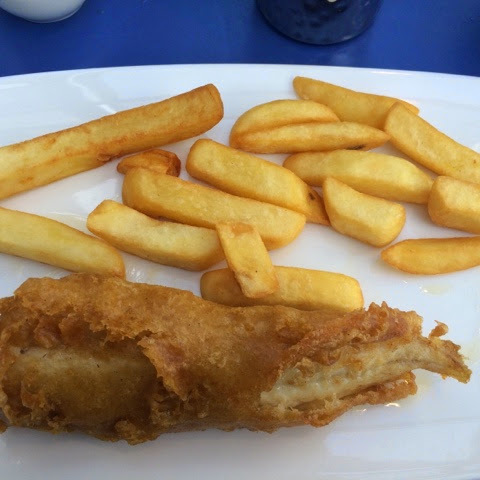 My lunch was lovely, I love fish and chips, Nick had the same and we both ate it all. Well Nick finished mine as I don’t eat much 🙂 There was a large variety of hot meals, sandwiches, crisps cakes etc so something for everyone. I had been fed and was ready to go home. On the way out something caught my eye. As you may or may not know, I am getting married in July. 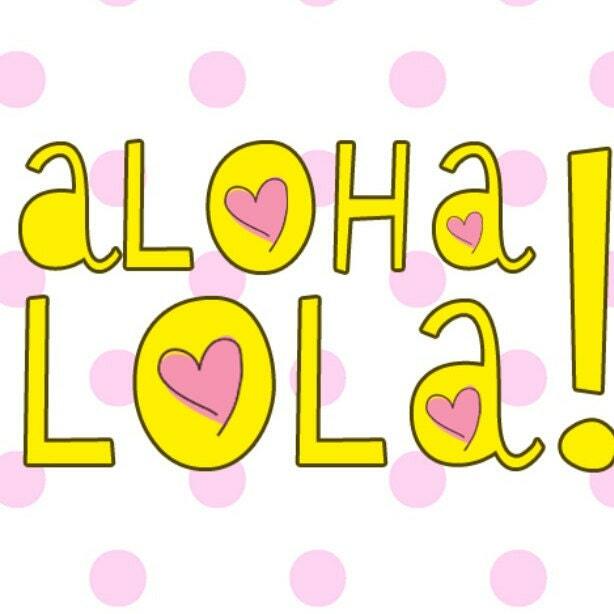 We have the venue, I have chosen the colour theme and my dress but when it comes to favours and things like that I haven’t even thought about it! 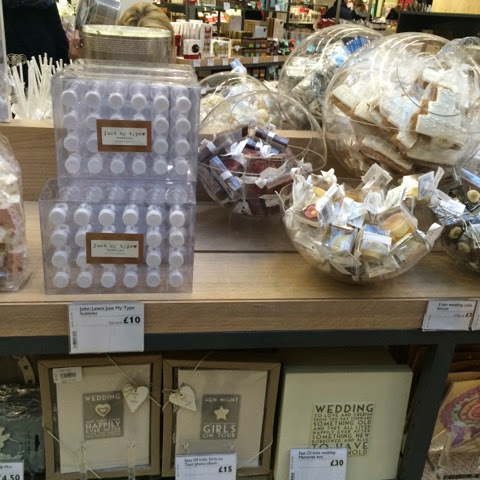 I saw the John Lewis actually offer a great selection of wedding items. They had confetti, chocolates, lots of different types of favours, key rings, lots of heart related gifts, there was a massive selection! I also picked up some information about the gift list service they offer as to be honest we hadn’t really thought about anything like that. We spent so long in John Lewis that we ran out of time to have a proper look around the town but I think we will more than likely go back at some point 🙂 So a big thank you for John Lewis Kingston, ESPA and Hourglass for a lovely experience. Disclaimer: I have not been asked to write any of the above, I simply just wanted to share my day with you and I highly recommend this particular store as well as the brands mentioned.